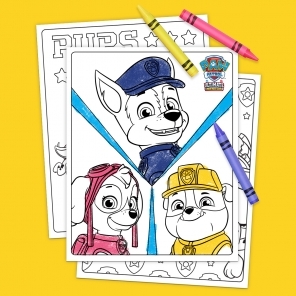 Check out some of our favorite PAW Patrol coloring pages, activity packs, games and more! 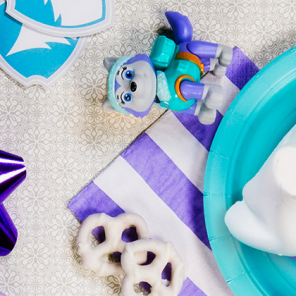 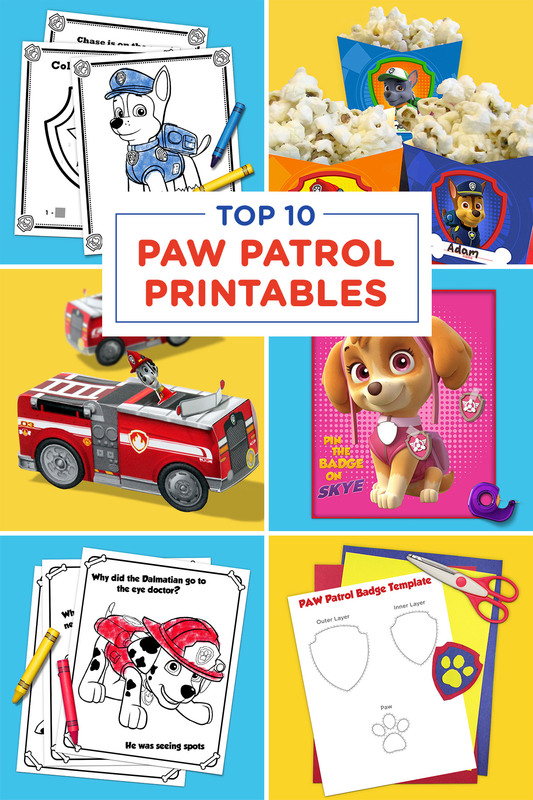 If your preschooler loves PAW Patrol, you know that they can’t get enough of those fantastic, fearless pups. 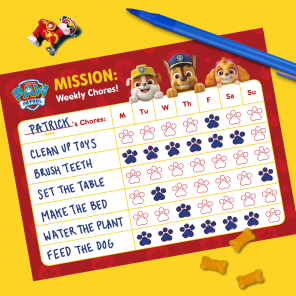 PAW Patrol toys, PAW Patrol bedding, PAW Patrol lunchboxes–the list goes on and on. 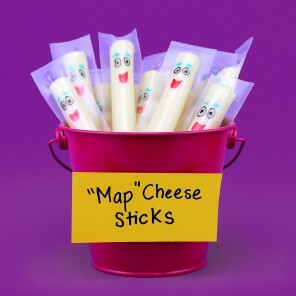 We’re about to make your life a little easier. 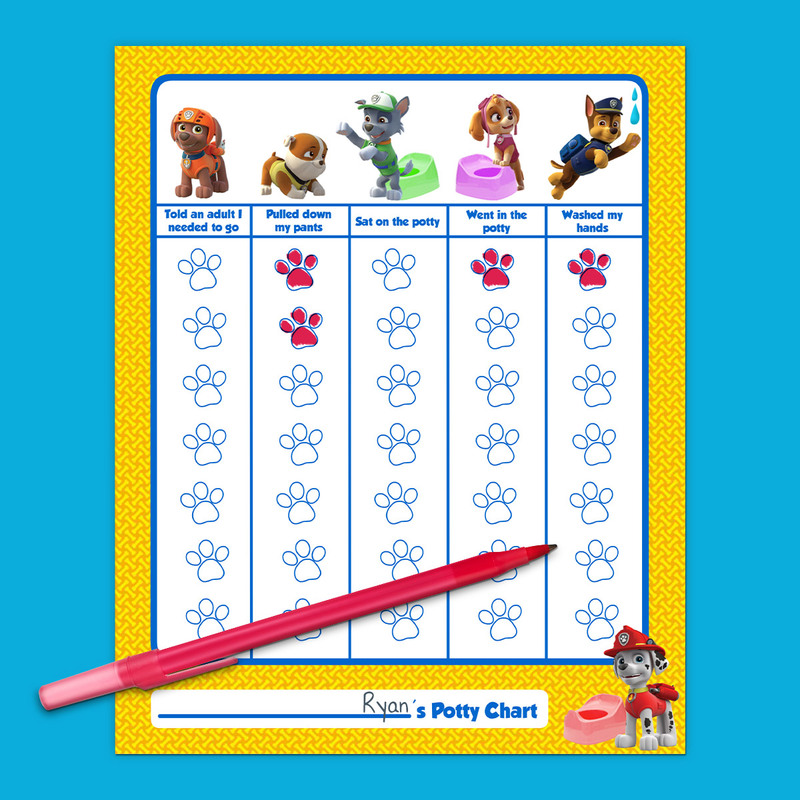 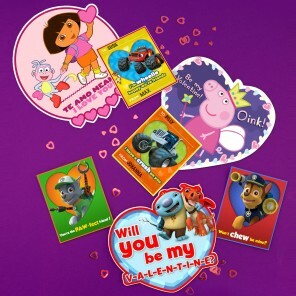 With these free PAW Patrol printables, you can trade in a trip to the store for a trip to your printer! 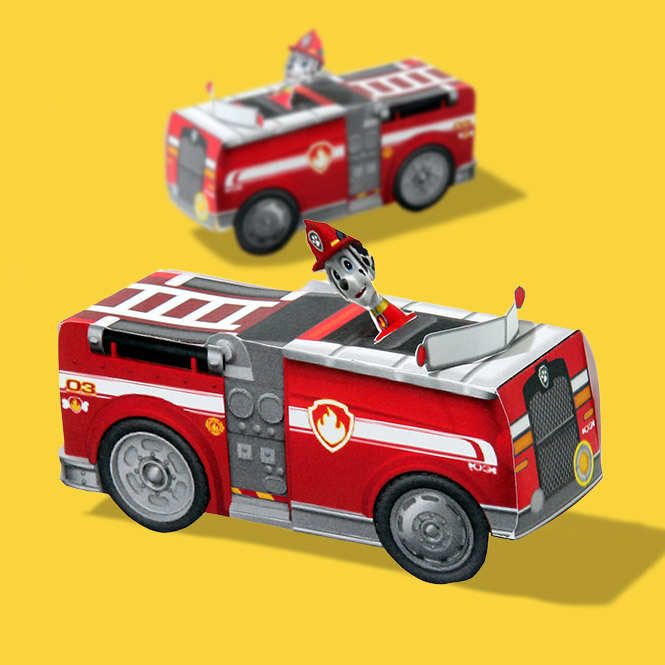 Assemble this fire truck craft so your child can race Marshall to save the day. 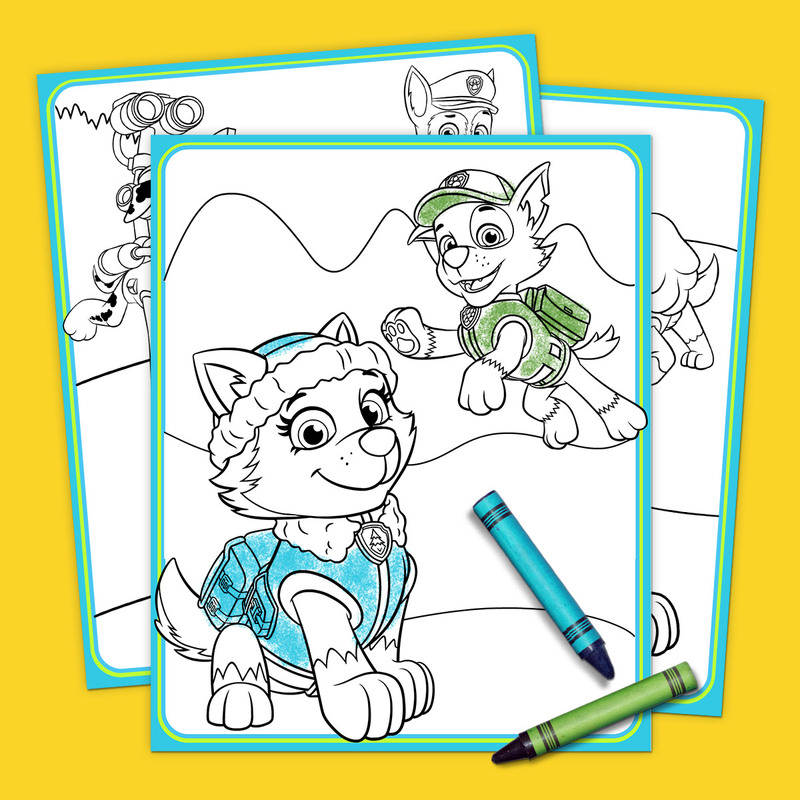 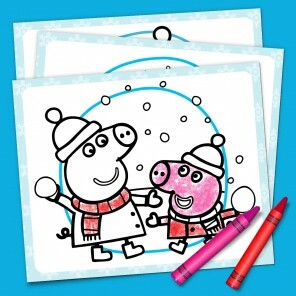 Kids can color in their favorite snow pup! 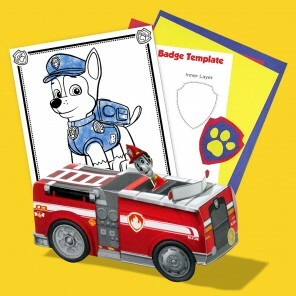 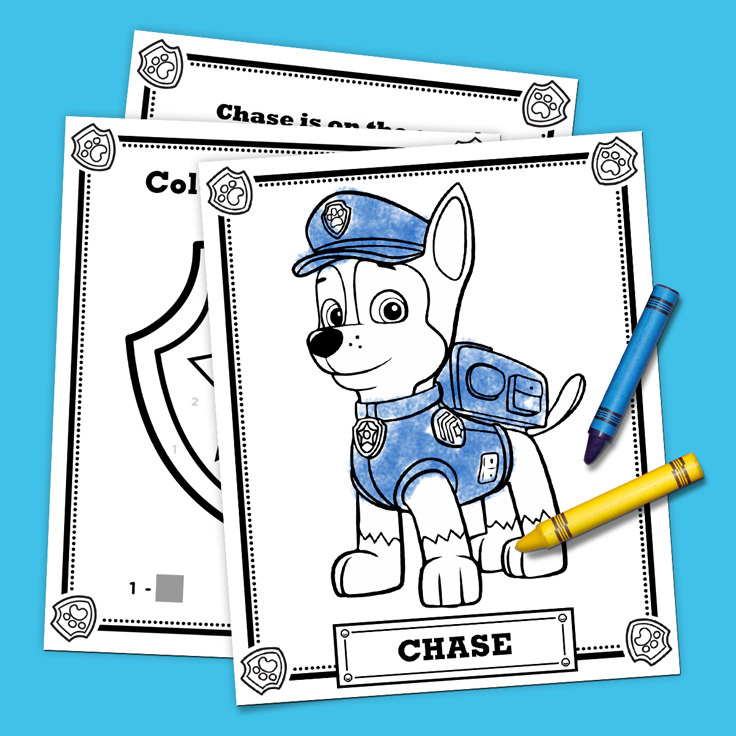 Kids can color in Chase and his vehicle, then color by numbers to complete Chase’s PAW Patrol badge! 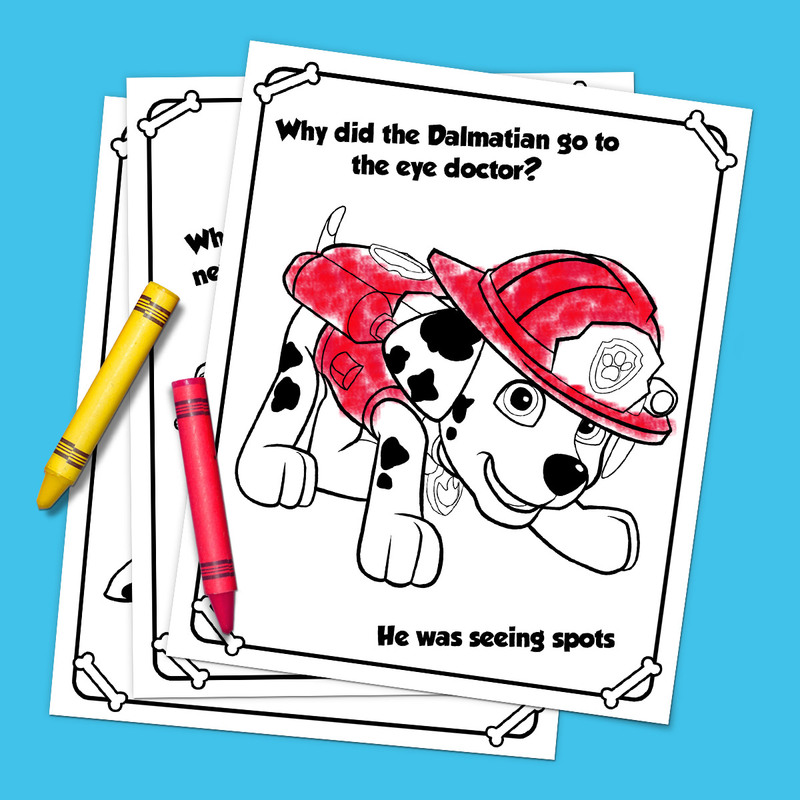 This colorable joke pack will make your pups howl with laughter. 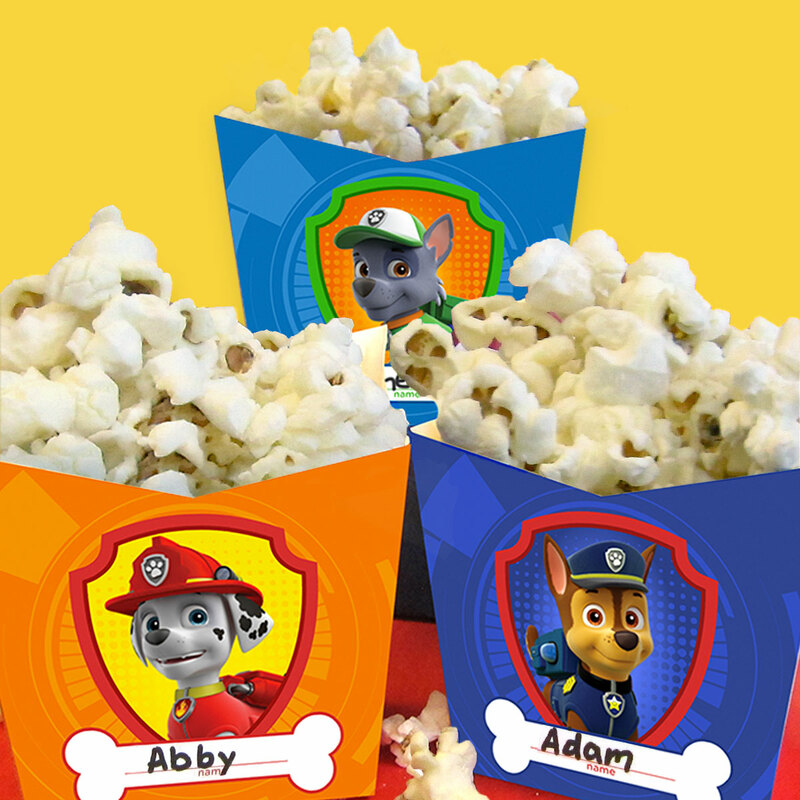 Print these templates out on card stock or heavy weight paper and assemble to create cool, pup-themed snack containers. 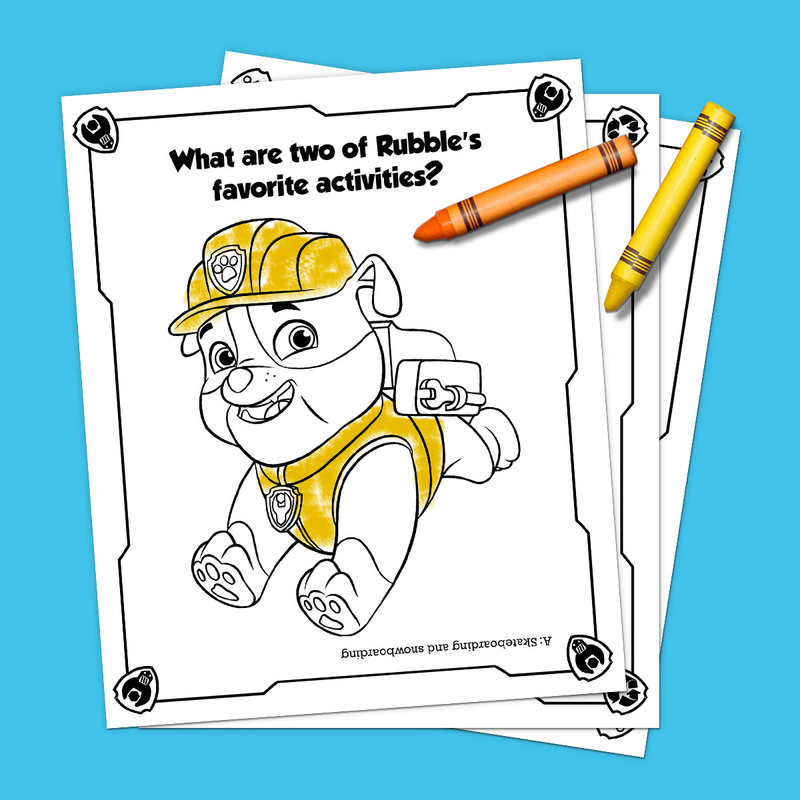 Take our pup quiz with your preschooler as they color in each PAW Patrol member! 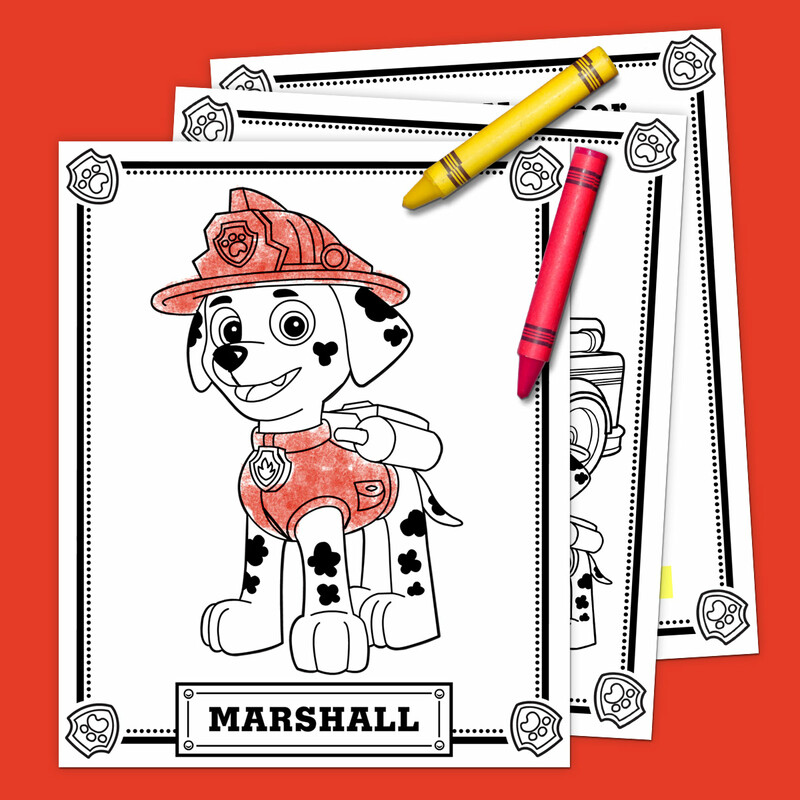 Break out the crayons so kids can color and count with one of their favorite pups. 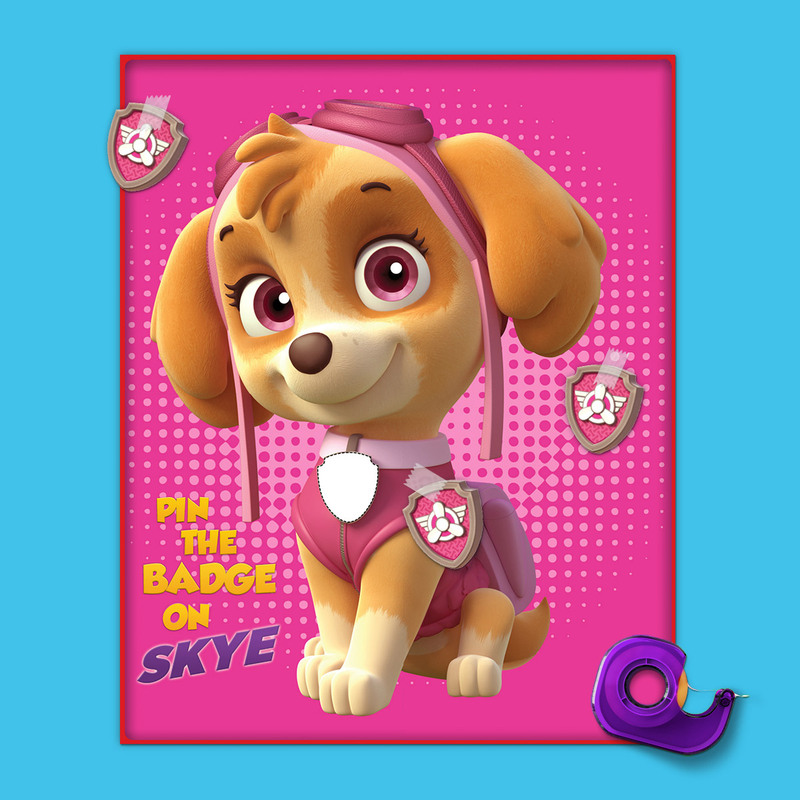 Hang on a wall and see if your pups can pin the badge on Skye with their eyes covered! 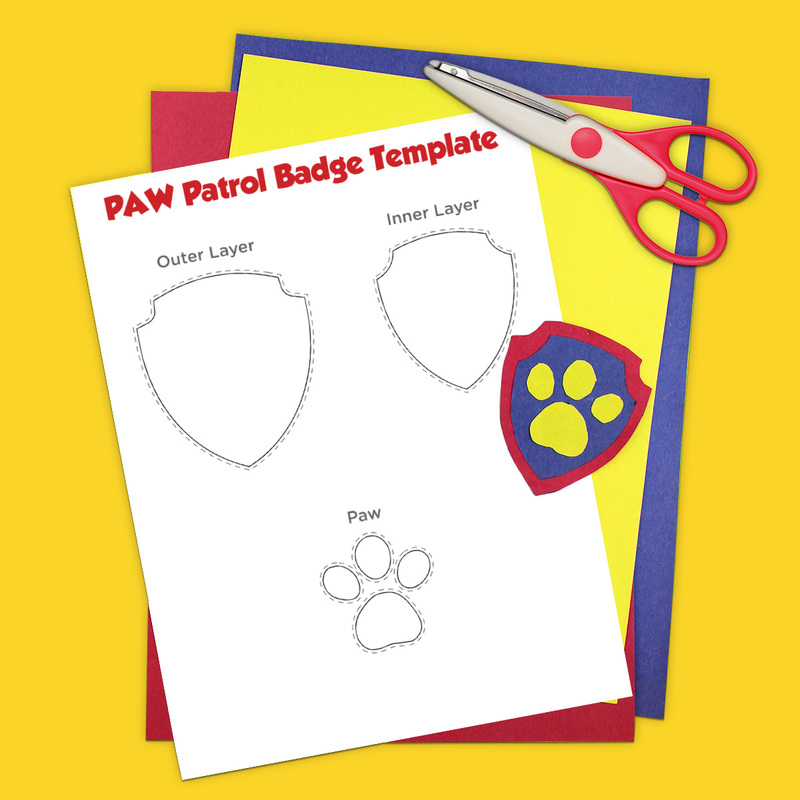 Print, cut, and create this PAW-some badge of honor!